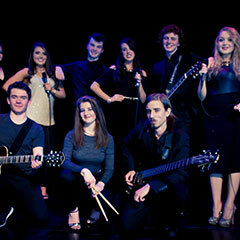 Academy students can audition for a place in the two house bands (junior and senior) that rehearse every week. Students wishing to apply audition at the start of every semester for these coveted places- specific criteria for the audition will be supplied ahead of time. Successful candidates then rehearse in these bands for 1 hour every week, playing a wide portfolio of styles, with a pronounced democratic leaning in favor of song selection- i.e. students can get to vote on the material that they cover, as well as working to the brief supplied by their ensemble tutor. 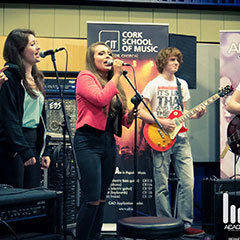 These bands represent the pinnacle of instrumental and vocal talent at the Academy- alumni of these bands have gone on to busy professional careers in the industry. 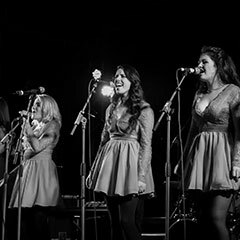 Previous iterations of these bands have played big gigs (Xmas lights switch on to thousands of people, headline act playing for President Higgins, winners of Cork’s Got Talent 2016 etc) as part of the house band experience. 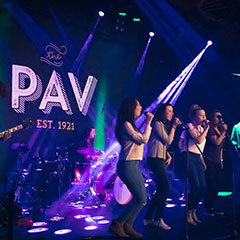 This year at the Academy we have added a new ensemble class option. 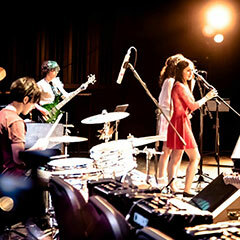 The Rock Ensemble class will look at some classic and challenging songs, as well as modern rock/metal tracks and bands. The material covered does not come from the pop world, but from metal and rock styles of the last 30 years. 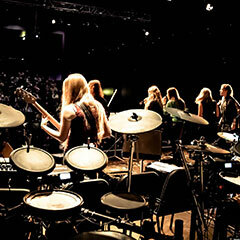 The class will focus on technique, soloing, and stylistic traits of the various rock and metal genres encountered, and aims to get the students playing and understanding how to translate a recorded track into a powerful live performance.